The development of population research in Estonia has followed the turbulent history during the past century. After gaining independence in 1918, the country developed a system of national statistics which by the end of the 1930s had reached high level by international standards. Together with the emergence of demographic and geodemographic research, population perspective was increasingly applied to the development of various fields in society (e.g. school network, urban planning, dwelling construction, postal services, roads etc). Progress in the referred direction, however, was disrupted by geopolitical changes in 1940: national statistical system was dismantled, corresponding research stopped, population-related publications and materials were classified and mostly destroyed. Decision-making shifted to ideological basis, making the expertise on population development unnecessary, if not undesirable. Reflecting a state of dependence, for half a century Estonia lacked official framework for research and training in core population science - a situation rather exceptional for any country in Europe. Until 1962 population science, in the sense of its core, was directly prohibited, with soft restrictions continuing until the middle of the 1980s. The restrictions imposed on core demography were more persistent, also in comparison with other Baltic countries, however, the development of bordering disciplines was less restrained. In particular, three population-related fields of research started to evolve and reached international standard. Historical demography concentrated mainly in the Institute of History and department of history at Tartu University whereas the development of population geography relied on corresponding scholarly tradition in Tartu University. In the 1970s epidemiology and medical demography started to develop in the Institute of Experimental and Clinical Medicine. Not surprisingly under the absence of core demography, these three disciplines (together with demographic applications in labour force studies) developed almost isolatedly from each other. Emerging societal change in the second half of the 1980s softened prevailing ideological restrictions, among others favoring the scholarly interest in population matters. In 1986, scientists involved in demographic research as well as bordering disciplines could join in the academic organisation under the aegis of Estonian Demographic Association (EDA). On the basis of cooperation between researchers participating in joint research projects, Estonian Interuniversity Population Research Centre (EKDK), was established at the Demographic Association. For the first time in postwar Estonia, EKDK started to pursue studies pertaining to the core of demographic research. The statute of EDA was registered by the Government, submitted by the State Committee of Labour in 1989. In subsequent years, the statutes of EDA and EKDK have been amended, following the introduction of new legal procedures. Important milestones in the development of population research at the turn of 1990s were the emergence of international contacts and the fall of last restrictions on the accessibility of population data. Among the first, the opening of new possibilities resulted in a close cooperation with Finnish Population Research Institute/Väestöliitto, seminars and scholarship scheme for Estonian population researchers to get access to Western demographic literature, virtually unavailable in Estonia during the previous regime. To provide another example, highly important was also the support from Population Studies Centre at Michigan University which contributed importantly to the development of modern computing facilities not available/affordable locally. Right from the beginning, systematic investments into demographic research collection was started, discussed further in the report. To bring together research results on Estonian population development and make them available to scholarly audience, relevant publication series were also started. The development of population research was boosted by the restoration of national independence in 1991 which eliminated the political obstacles from the participation in major pan-European programmes, coordinated by UN ECE and Council of Europe. More importantly, however, societal change allowed to set an explicit aim of building up the NPI in Estonia. Following the concept, starting from 1991-1992 researchers became closely involved in the efforts to develop a statistical system capable to meet the needs of the nation. Major steps in this direction have been the establishment of Governmental Commission for Population and Social Statistics, the initiation of population data harmonisation programme and launching the series of national surveys. Although activities in the referred direction have required a lot of time and effort, often extending from research and methodological work to practical implementation, close involvement has proven unavoidable to secure an appropriate database for research. Consistent with the task to build up a national population institute (NPI) in Estonia, systematic efforts were taken also in several other directions. The coordination of activities between national research institutions working on population-related matters led to collaboration with Institute of Experimental and Clinical Medicine, Institute of History, Institute of Estonian Language, Institute of Suicidology and National Archives to mention those with continuous cooperation. With respect to bordering disciplines, this resulted in the establishment of Working Group for Historical Population Data at Estonian Demographic Association which became the main institutional framework for studies in Historical Population in Estonia since 1996. 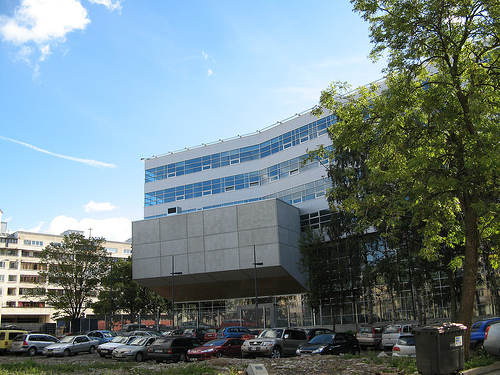 Cooperation with Tallinn University resulted in the establishment of chair of demography at university in 1994. In the following years, curricula for different levels of study were developed and a committee for MA and PhD degree established. Regarding the formal position in Estonian science organisation, the first official recognition became in 1994 when Estonian Science Foundation, a newly founded institution, established for the introduction and management of peer-reviewed grant system, included demography in the list of scholarly disciplines eligible for grant funding. It took another four years until target funding which has been designed for larger/longer research projects became accessible for population research in 1998. In the same year, Tallinn University decided to formalise population research also in its structure under the denomination of Estonian Institute for Population Studies, building on research profile, staff and resources of EKDK. In a broader context, such arrangement ensues from general policy to merge research institutions and universities. Presently the complementary research frameworks in population science - further the Institute - aimed towards the same goals of NPI, supervised by common board benefitting from broad interuniversity networking across the country and academic connection to university.